A WOMAN has been praised online for the innovative way she deals with break ups, with people calling her method the "work of a genius". We all know break ups can be messy, but one woman named Katie decided she didn't have times to get bogged down in feelings and has come up with a brilliant way of making break ups as clean as possible. 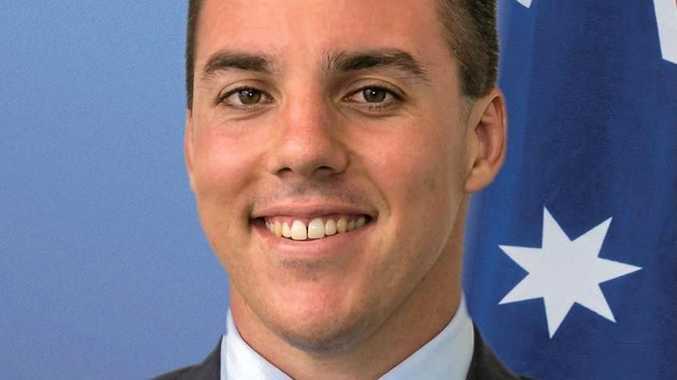 Anytime one of her relationships end, Katie sends her ex an exit interview so he can offer feedback on ways to improve in her future dating endeavours. 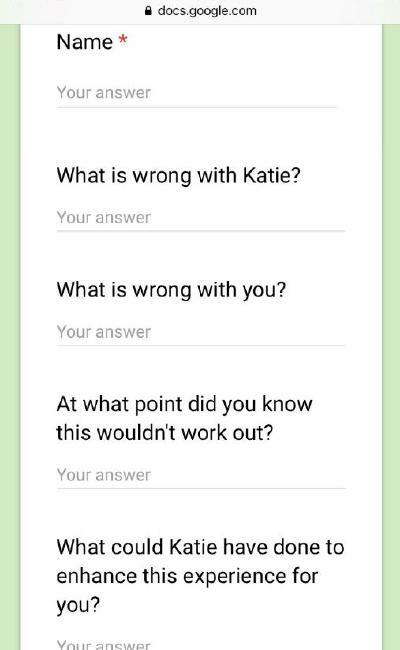 Katie's friend Abby shared a copy of the survey on Twitter, along with the caption: "There's this girl I know who sends an exit survey to every guy she casually AND seriously dates." The survey includes questions like: "What is wrong with you? 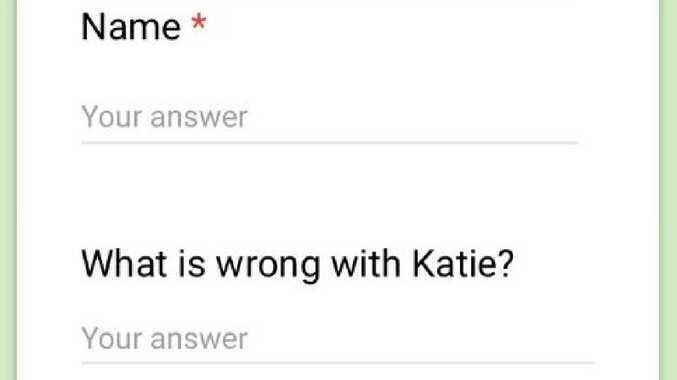 ", "Would you refer Katie to a friend?" 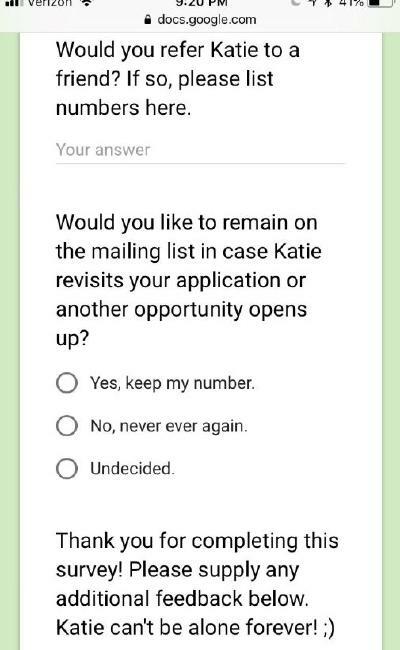 and "Would you like to remain on the mailing list in case Katie revisits your application?" People were quick to praise Katie for her data driven approach to dating. "This is a work of genius. Finally dating has the structure and administrative bureaucracy it has always needed," one user said. "Right next guy who decides to waste my time is doing this," another said. One added: "'What is wrong with you?' is a question I always ask on a first date. It's yielded hilarious answers."